DairyBISS is an EKN-funded project to stimulate private dairy sector development in Ethiopia, carried out by Wageningen UR Livestock Research and partners in Ethiopia and The Netherlands. Starting from 2015, this 3-year project will establish a dairy business platform that initiates and follows activities in business development, capacity building, and business information development. Proves of concept (PoC) will be initiated for technical and organizational innovations like private farm advice, innovative housing systems, and forage production. Results will inform both business practice and long term sustainability of the sector. These activities add value to existing dairy development initiatives like the Agricultural Growth Program and dairy-related projects. The aim of this project is to increase the number of profitable dairy farms and firms in the Ethiopian private sector, by improving B2B relations, the availability and utilization of quality business information, and advice. 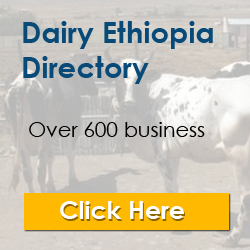 The DairyBISS team consists of Dutch and Ethiopian experts in dairy production and works together with a pool of other (international) consultants. We operate from Wageningen, the Netherlands and from the BENEFIT office in Addis Ababa.